How Much Does it Cost to Repair Brick Work? Where chimneys are placed cause a lot of homeowners to feel concerned about doing brick repair while standing on a roof. 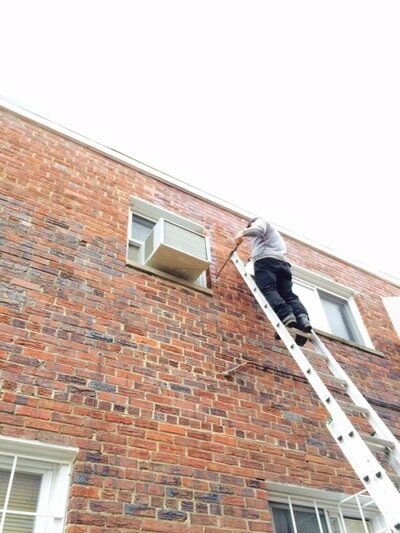 If this is true for you, it would be wise to hire a professional like the contractors at Boyd Construction Co Inc to do the job properly and safely. Nationwide, the cost of chimney repairs usually range from $750 to $1,000. Inspect the chimney carefully to ascertain which bricks are in need of replacement. Carefully chisel out the mortar, removing debris with a wire brush as you go. Pull each brick as it loosens and set it aside carefully. 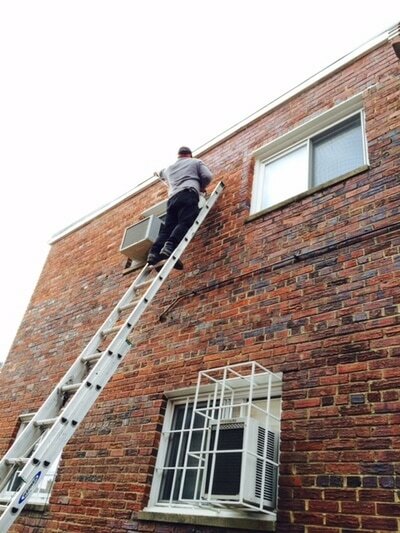 Do not remove all damaged bricks at once, as this can destabilize the chimney and make it unsafe. Instead, replace bricks in stages, allowing time for each course to set before continuing your project. When replacing, trowel a layer of mortar onto the top and ends of each brick. Slip it into place and remove any excess mortar. Shape the wet mortar with your trowel to look like the other mortar joints on the chimney. Continue in the same manner until all damaged bricks have been replaced. Allow mortar to dry for about an hour. 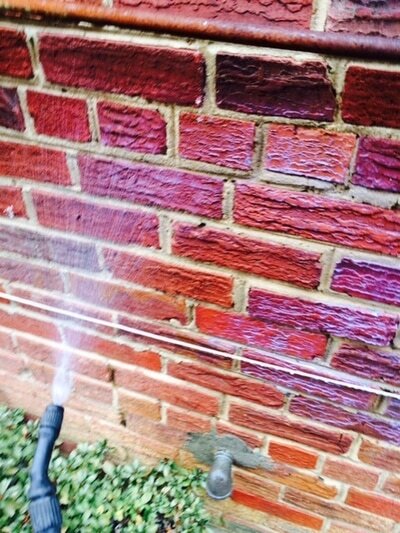 Then, wipe any excess mortar off your brickwork with a damp sponge. Remove crumbling mortar with a hammer and chisel. Clean out joints with a wire brush to completely remove debris. Mix your mortar and pour it into a mortar bag or, alternately, an old pastry bag. Place the nozzle of the bag into the cleaned out joints, and squeeze the mortar out like pastry or toothpaste until the joint is filled. Scrape off any excess mortar, and shape the mortar to look like the joints around it. Allow the mortar to dry for an hour, and wipe any excess mortar away with a damp cloth. When cracks happen in your brick walls or your foundation, it is very important to check for any underlying structural damage which would account for the cracks. Foundation cracks, in particular, are extremely troubling, because they could indicate a serious problem. Foundation repair can be costly, but not repairing foundation damage can be catastrophic. Minor foundation cracks may cost as little as $500, where a major foundation repair can be $10,000 or more. The sooner you have cracks repaired, the less expensive the repair is likely to be. Cracks in exterior brick walls can be repaired for $450 to $600 for a one-story home with small cracks. Two-story homes are a little more expensive to repair, at about $650 to $800. A rule of thumb is that the higher off the ground the work is done, the more costly it will be. Expect to pay at least 10 to 20 percent extra for repairs done above 10 feet. For a solid day of work around your home, a brick mason will charge, on average, $900 to $1,200. What are Causes of Brick Damage? Exposure to harsh weather conditions and the constant erosive qualities of water may cause damage to brickwork. Additionally, allowing it to become overly soiled can cause damage over time. Proper maintenance with regular pressure washing can extend its life considerably. 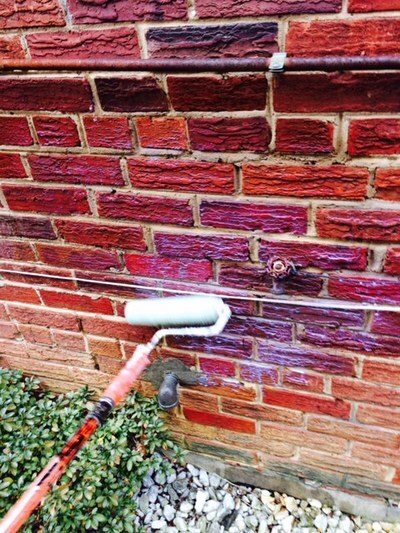 Brickwork can also be damaged by improper foundation work or installation processes. For instance, failure to provide a good foundation mix under a sidewalk or patio can lead to eventual sinking or sagging of the bricks, creating a fall hazard. Failure to lay a weed prevention barrier may cause grass and weeds to grow between bricks, causing the surface to buckle. For chimneys, allowing the chimney cap to deteriorate leads to problems with the brickwork beneath the cap. Regular inspection and repair of your chimney cap can make your chimney last longer before brick replacement is needed. Keep a careful eye on your home's foundation, chimney and surrounding brick accents. If there is any sign of corrosion or damage, contact a local professional like Boyd Construction Co Inc for a free estimate today!